Seriously? OMG! WTF?DC Comics Archives - Page 2 of 17 - Seriously? OMG! WTF? Before Stephen Amell was protecting Starling City from bad guys on Arrow, he was protecting a party from minors on Degrassi: The Next Generation. He looks the same now as he did when he was 22 in that 2004 episode. 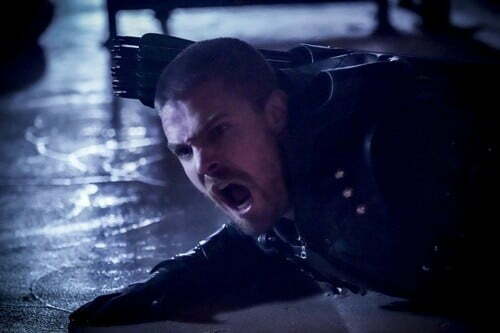 As we know, Arrow was renewed for an 8th season in January. Today, we are finding out that it will be the show’s last one and it will only be 10 episodes long. Arrow was Greg Berlanti’s first DC Universe show he did with The CW and since then they have added The Flash, Supergirl, DC’s Legends of Tomorrow and Black Lightning along with the possibility of Batwoman. Not a bad legacy for the show. I kind of had a feeling this was going to happen when I saw the show’s ratings on Monday. If they were not a series low, they were pretty close. UPDATE: Stephen Amell went on Facebook live and spoke more about the show ending. To see what he had to say, then click here! Over the last few decades, superhero movies and shows have gotten darker and darker. That is about to change with Shazam when it comes out on April 5th. This film is making them fun again. A trend that I hope continues because I am tired of all of the doom and gloom. Superheroes are supposed to give us hope, not despair. Can Doom Patrol survive a road trip? The third episode of Doom Patrol is up on DC Universe and it is a positive one. I say that because we get Negative Man’s back story. We find out what Larry Trainor (Matt Bomer) was like before he was taken over by negative energy and what it was like when it ruined his life. Before we get to that, Doom Patrol gets a tip that Chief (Timothy Dalton) is in Paraguay. Therefore, Crazy Jane (Diane Guerrero), Elasti-Girl (April Bowlby), Robotman (Brendan Fraser), Cyborg (Joivan Wade) and Negative Man get on the school bus and embark on a road trip. As we remember, the last time they went on one, a whole city was destroyed and its inhabitants died. Will this trip go better? This time, it is them in trouble after the negative energy gets out of Trainor and causes their bus to break down. That is when his back story starts the night before that fateful fight. He is in the back of his truck making out with his lover (Kyle Clements) and he gives Trainor an ultimatum. Trainor doesn’t take it and goes back to his wife (Julie McNiven) and sons. Back to our Patrol, they finally make it to Paraguay and Nazi man’s puppet show. Is Chief there? What happens when they confront him? You do not want to miss it. I went from watching Matt Bomer on Will & Grace to him in this episode, and how he has not gotten an Emmy is beyond me. He can so effortlessly go from comedy to drama, it leaves me in awe as I watch him. Very few actors can do it as well as him. Plus, I enjoy everyone else on this show. I love watching superheroes curse and not be perfect. That is why I get such a kick out Doom Patrol. You can tell they are having as much fun making it as we do watching it.